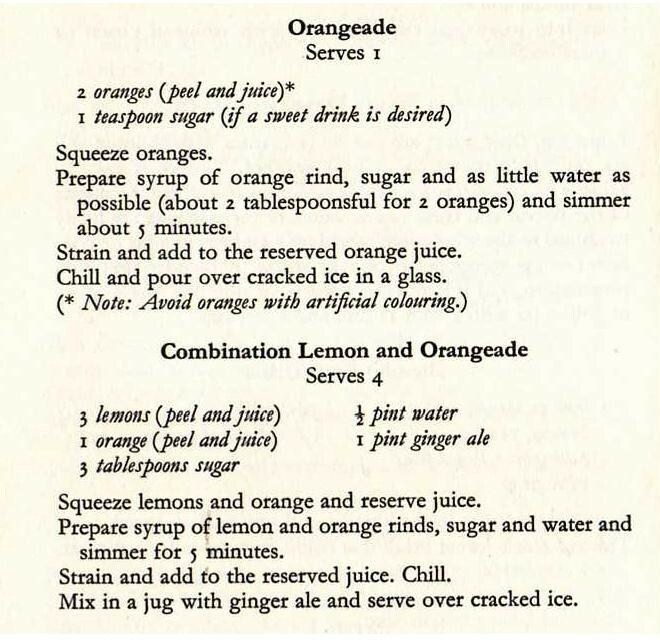 Quick post from ‘Clean Plates’ by Mitzi Perry-Miller, Elizabeth Crossman and Margaret Nicol, described as ‘first published in England 1964’, by Faber and Faber, I assume it’s originally from the US as other recipes include sloppy joes and fish chowder. This is from the section ‘Cookies, Snacks and Beverages’. Let us know what you think, if you try any of them! 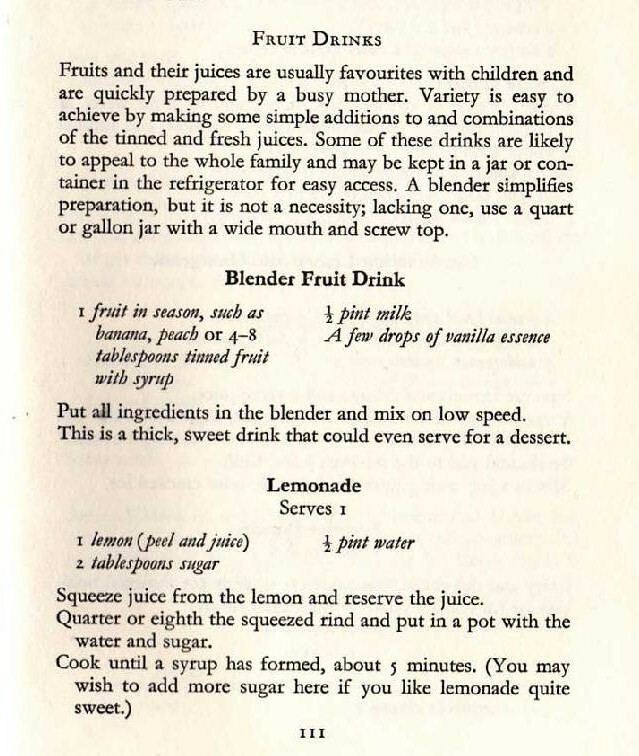 This entry was posted in 1960s, Clean Plates and tagged banana, castor sugar, lemon, milk, orange. Bookmark the permalink. If you mixed vodka with the first one you could get yourself into a lot of trouble. I know from experience that blender drinks can easily contain about four times as much booze as normal drinks before you can taste the alcohol. This holds true even with bland fruit such as bananas and pears. Be warned! Right, can everybody please drink responsibly? The VCBT is not responsible if anything like this https://vintagecookbooktrials.wordpress.com/2009/09/13/vintage-cocktails/ happens.